Balance, USB audio interface from PropellerHead. 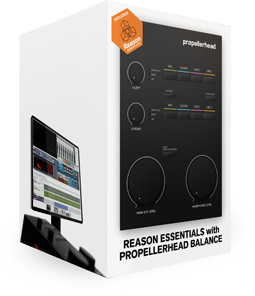 Propellerhead Software has unveiled Balance, its first audio interface and foray into hardware, integrated with Reason Essentials Software. Balance, a two-in by two-out audio interface for Mac and Windows, is designed for the single person operated home/project studio. USB 2 powered with separate volume controls for monitors and headphones, it contains 8 input connections—without software pop-ups or control panels. Reason Essential is included. Balance’s class compliant drivers on the Mac and ASIO/WMD driver for Windows are designed to ensure compatibility with all applications from iTunes to ProTools. Hardware buttons on Balance bring up a large meter/tuner in Reason and can also enable “Clip Safe”, Propellerhead’s new recording technology that with one click heals clipped recorded audio. 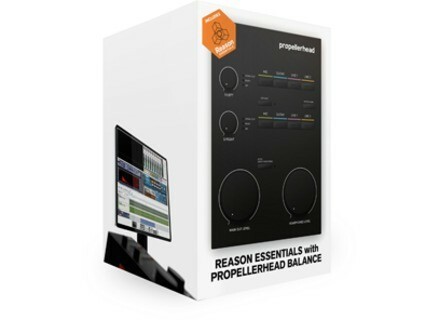 Reason Essentials with Balance audio interface will be available for purchase worldwide on September 30, 2011 at a suggested retail price of EUR €499 / USD $499. Any current Reason and Record user who purchases Balance can receive the Reason 6 upgrade for free. Native Instruments Updates Battery 3 Native Instruments recently updated Battery to version 3.2.2.
algoriddim Updates djay for iPad to v1.3 algoriddim has updated djay for iPad to version 1.3. ProXL ProbaGate & VstNotesXL Go Free ProXL has announced that you can now download the full versions of the VstNotesXL and ProbaGate Windows VST plug-ins for free.